In the past furniture was passed down through the generations but today sadly much is treated as disposable. Fortunately those people "in the know" appreciate quality furniture and realise that well made pieces will last and can easily become heirlooms in their own right. We make custom, upholstered furniture for our customers. That means furniture in the style you want covered in the the perfect fabric of your choice. Not for us is furniture by the container-load made with cheap labour and materials in the far-east. Imagine the finest quality tub, club, wing-back, swivel or fireside chair upholstered in the luxury designer fabric of your choice. Imagine a unique occasional chair perfectly suited to your personal taste and the style of your lounge, dining room or bedroom. Well imagine no longer. We can turn your dreams into reality. See our full range of Occasional Chairs. Sofas and couches are often the largest item of furniture in the home. All too often they are bought with little thought given to the overall design of the decor. We can help put that right with our selected traditional and contemporary sofa designs. These are of the highest quality and hand made in the UK, yet all are at very sensible prices. As a finishing touch, why not add a footstool? Think of these for extra comfort for your legs or opt for an over-sized model as an upholstered coffee table. 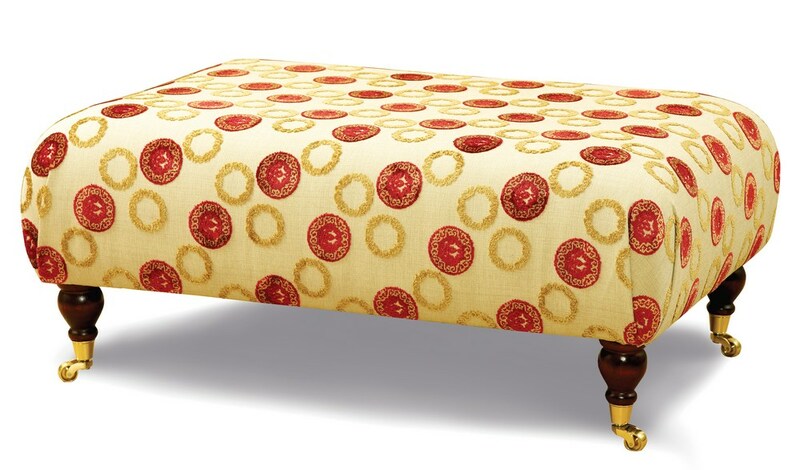 Whatever your space we can design a footstool to suit. We are an authorised distributor of the wide range of contemporary furniture from Designers Guild. We can help you choose the right style of furniture for your room and we can help you pick the right fabric. If you want to customise or adapt the design or even replicate another design we probably can help too. Finally do remember that although you are paying for quality furniture with longevity built-in, we do not have the costly overheads associated with the Kings Road in London! We manufacture over 70 chair styles in Long Eaton, traditional British home of furniture, under our occasional-chairs.co.uk brand. But our skilled craftsmen can adapt and replicate styles specially for you. And we can deliver chairs to homes across the UK. Locally, we work with skilled upholsterers to recover your valued piece of furniture in one of the many fabrics we have in our collection. 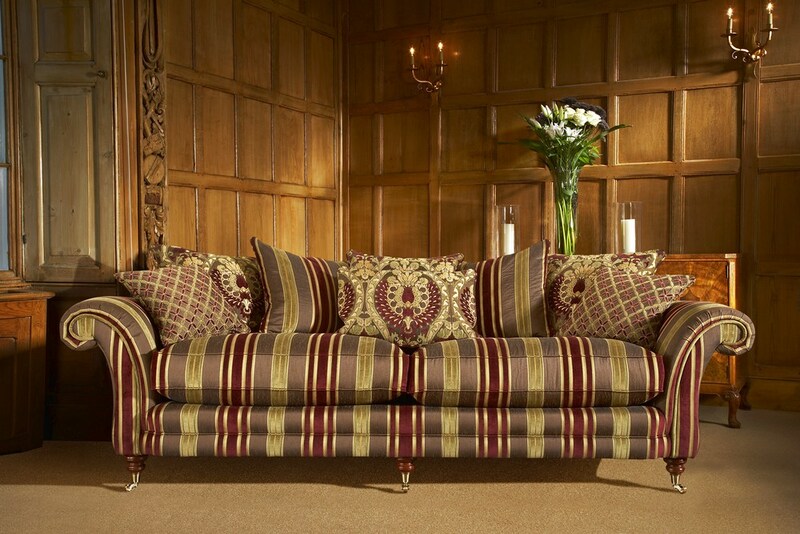 We can also make made-to-measure footstools, window seats, seat pads and headboards. We have a good selection of chairs, sofas and footstools on display in our shop for you to experience and to assess the quality and comfort of our range of bespoke furniture. Come in to our Dunnington Showroom to test out our display chairs and sofas. We look forward to helping you find your perfect furniture.